The scoreboard looked worse than it was for the Battle Ground Tigers. Bethel got the best of the Battle Ground 56-7 in the opener, but the Tigers showed they could move the ball against a good team, even with a lot of inexperience. 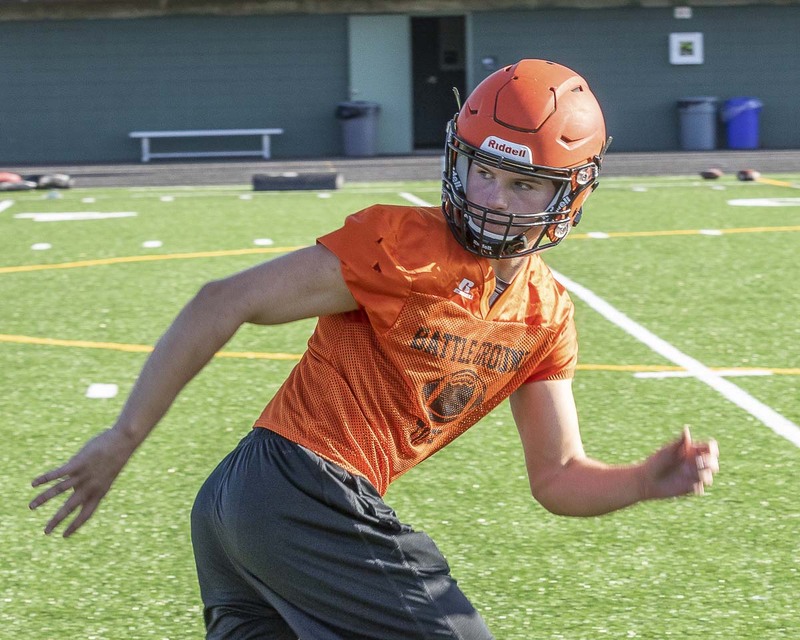 “We did a fairly good job with a bunch of sophomore offensive lineman who had to fill in for a few injuries,” Battle Ground coach Mike Kesler said. Yes, the Tigers are already suffering from the injury bug. Still, they did manage to pick up first downs in each of their first three drives. The first drive of the game went close to 40 yards before it stalled. “Didn’t finish it,” Kesler said. That was kind of the story of the night. “Mistakes are correctable. We’re still young,” Kesler said. Trent Thompson had a pass defense in the end zone on a fourth-down play, getting the ball back to the Battle Ground offense. And on that next series, Thompson had a great seal block to spring a teammate on an 11-yard run. Later in the game, Boden Strouse made an ESPN Top-play worthy catch. Daniel Thompson got Battle Ground’s touchdown. On the previous play, he was making a cut when the Turf Monster brought him to the ground. He showed his frustration on the play, just knowing that if he had kept his feet, he probably was going to score. The next play, the coaches gave him the ball again, and this time, he did score.